This entry was posted in Double Project on December 8, 2016 by saadchaudhryme. 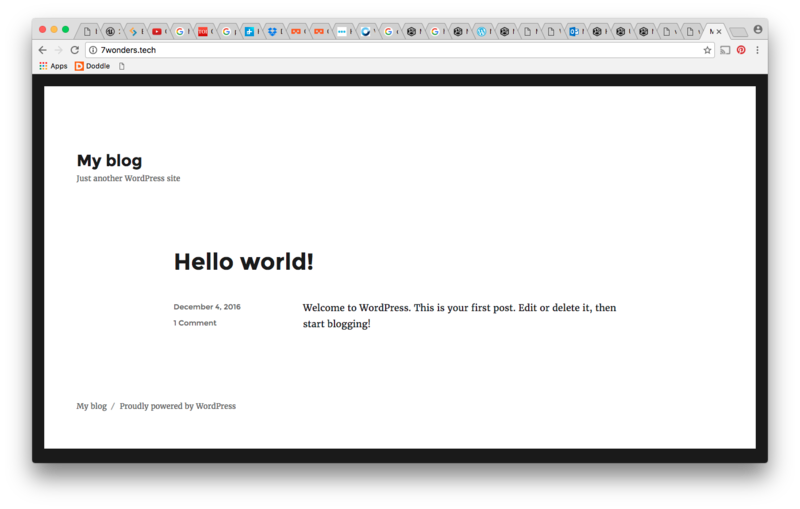 Beginnings of my website. 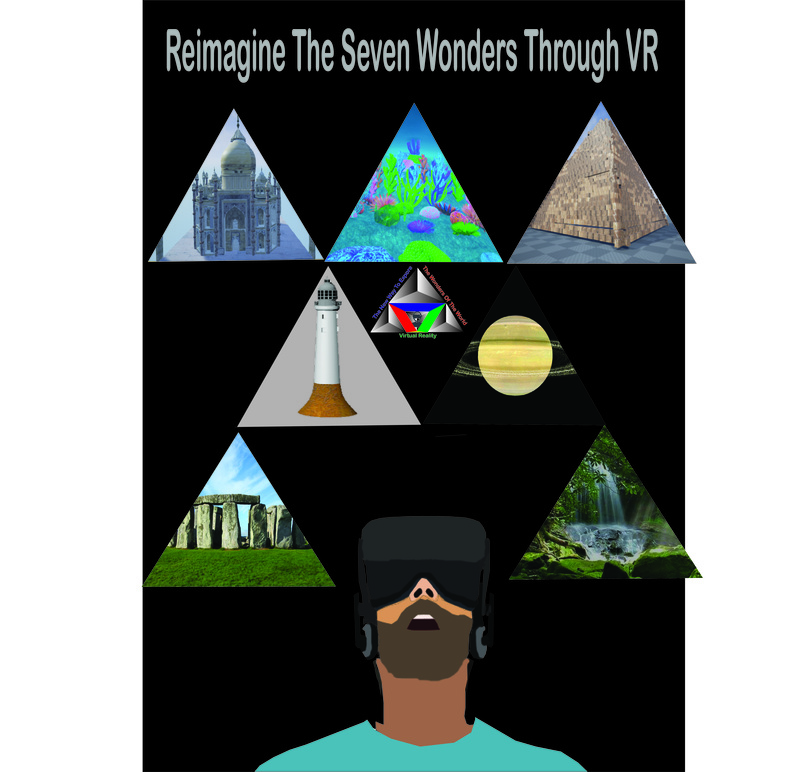 Using my Tsohost account bought another domain name, http://www.7wonders.tech and have started the initial stages of creating a website providing information about my chosen 7 wonders and containing videos of flythroughs of these. 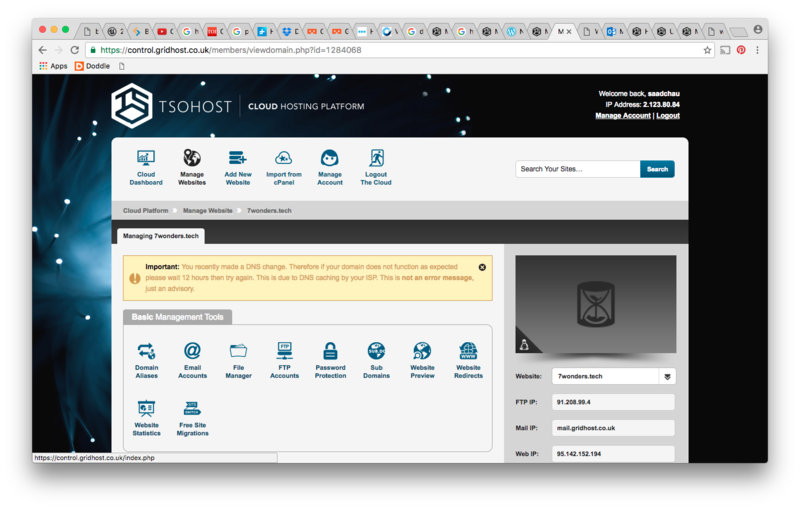 Choosing and buying my domain name. 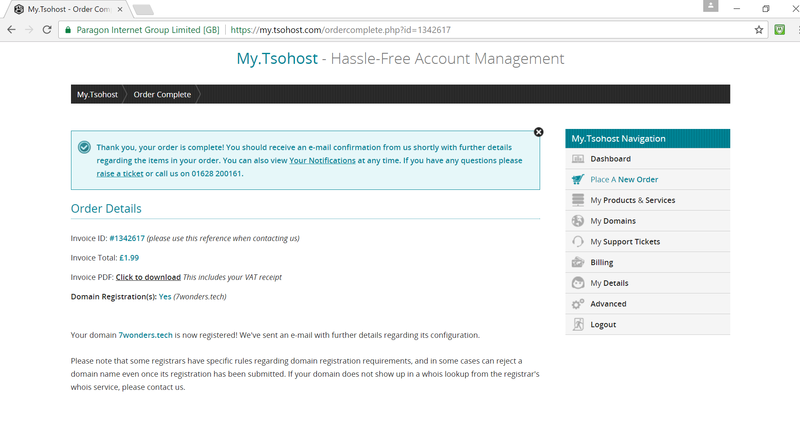 Making changes to my hosting account to add my domain name. 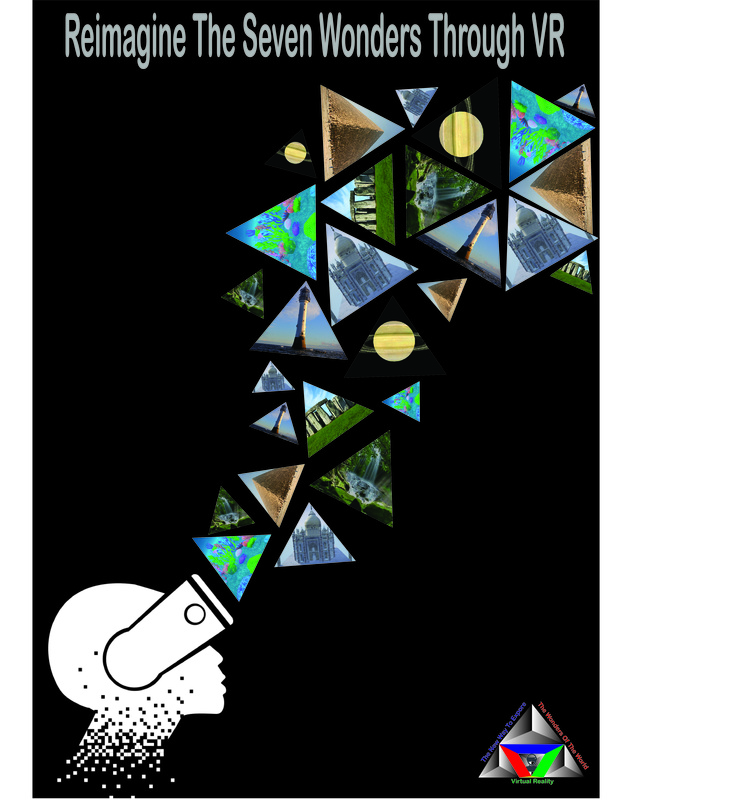 Beginnings of my website which will provide information and videos of the seven wonders I have chosen. 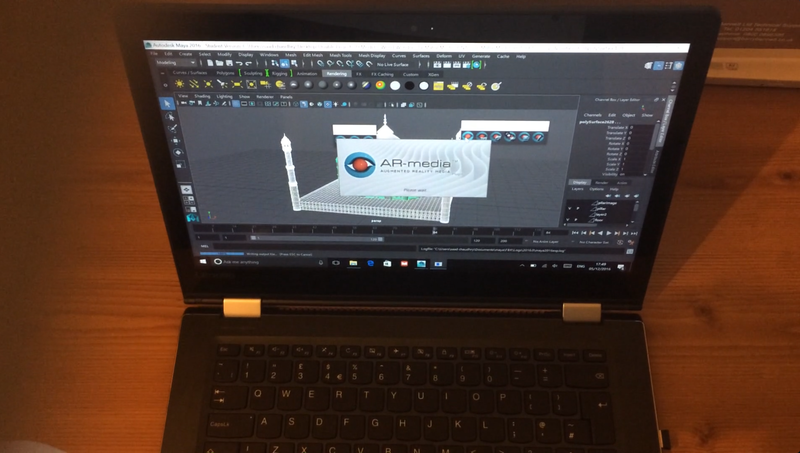 After further research found a website which allows a free trial to upload a 3D model to create augment reality to a mobile device. 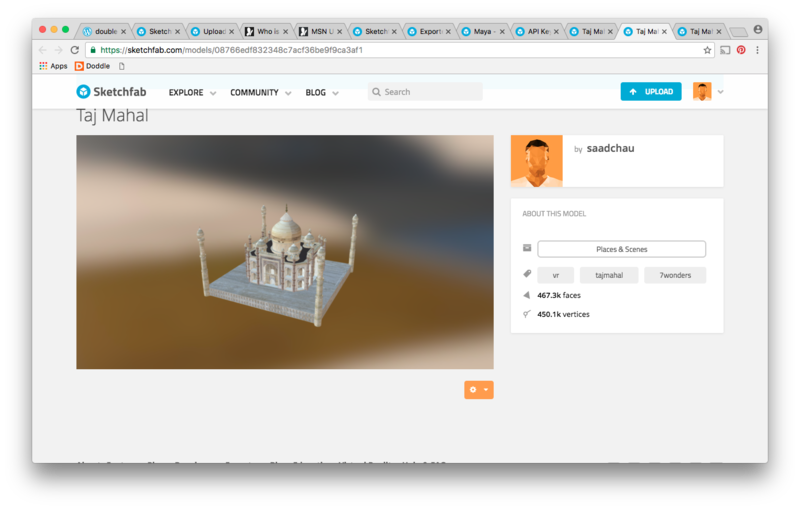 Uploaded my Taj Mahal model and it worked really well in itself but I still want to add the environment so the whole model looks more realistic so it can work as a partner project to my VR experience especially if the problems with setting up the Oculus Rift continue. 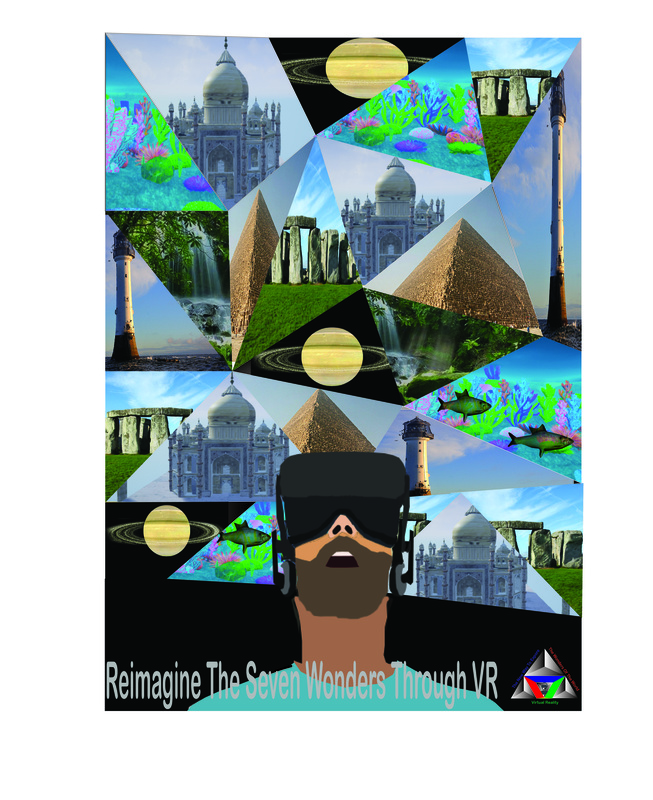 After feedback from the tutor about ensuring I have a plan B and maybe even a plan C in case my VR project did not work with the Oculus Rift I decided I would also have my models as an Augmented Reality experience. 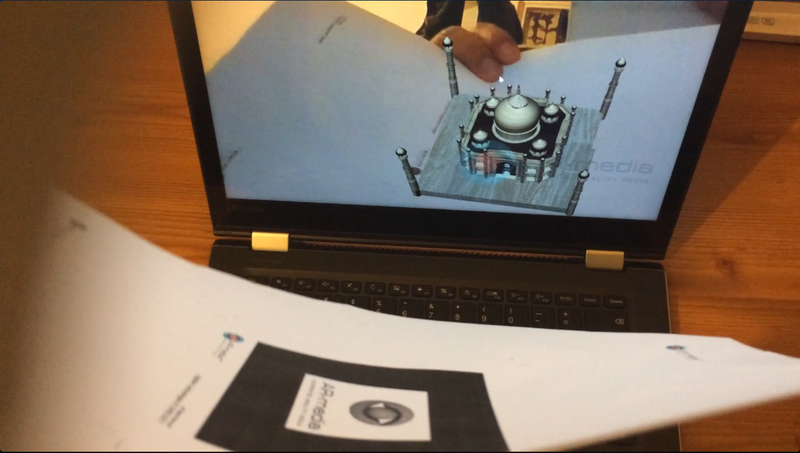 Initial research and after a session from another student I experimented with an AR platform called AR-media. 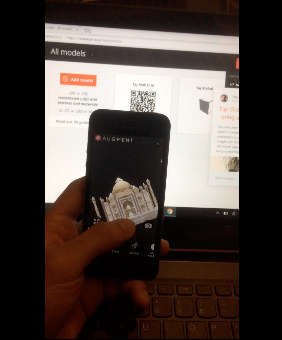 After downloading the product and printing the marker which would be the base for the model to pop up using the camera of my laptop I mirrored the marker and my Taj Model like magic appeared in space as a 3D model. 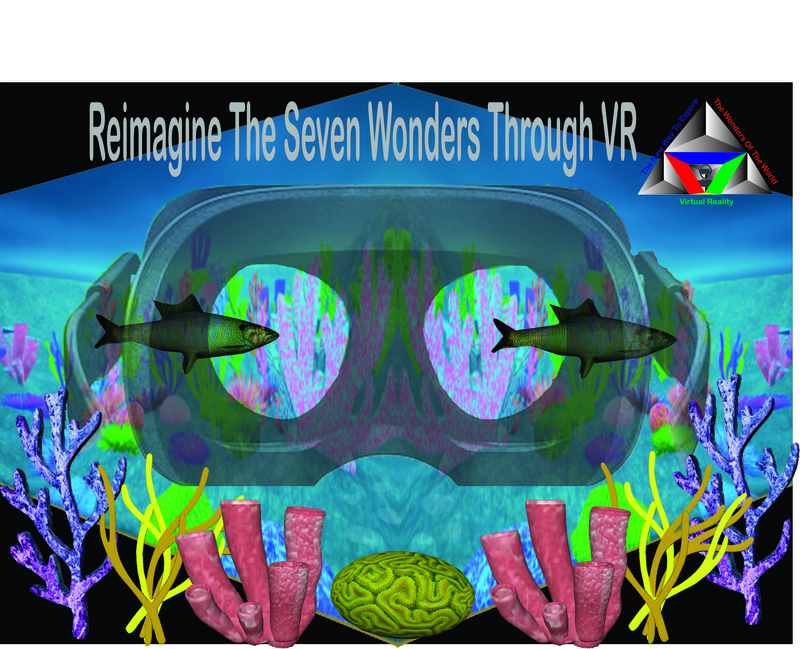 My next aim is to use augmented reality with the ios platforms to create a more immersive, interactive real time experience. 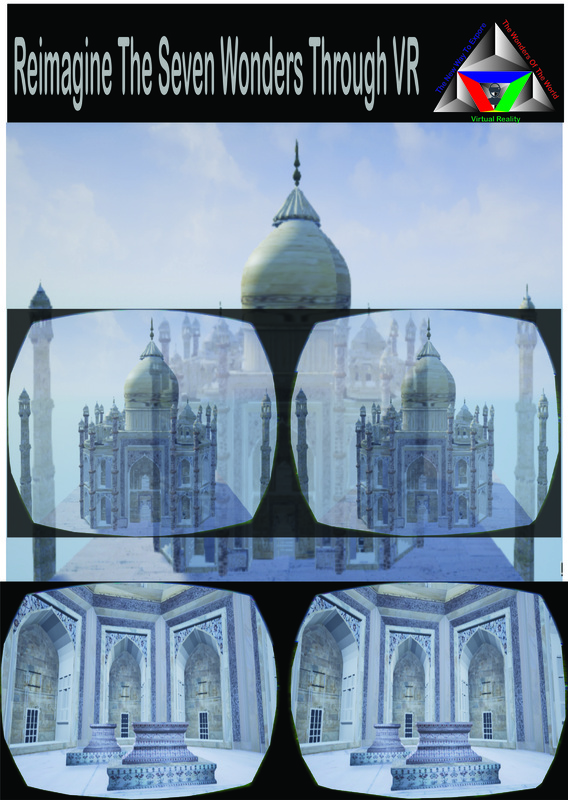 Looked at various websites to see if I could find a temporary solution to create a VR experience to test my model. 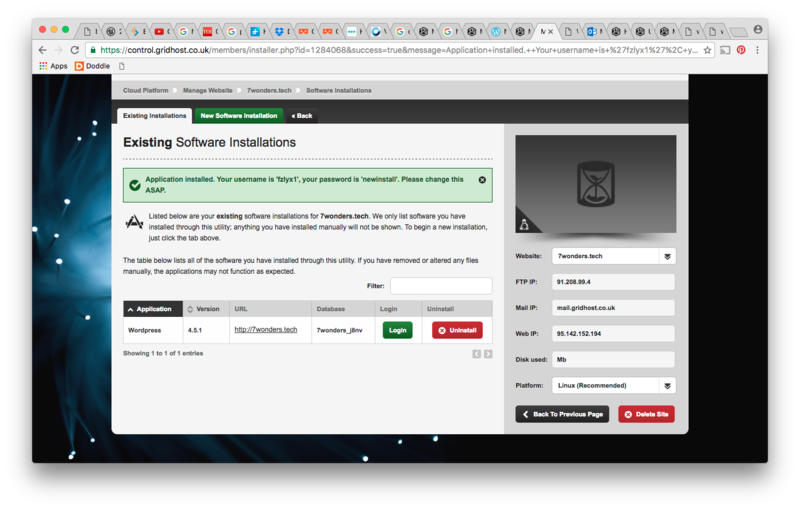 There are a lot of websites but the free trials tend to be simply uploading your model on to their to view as 3D models. 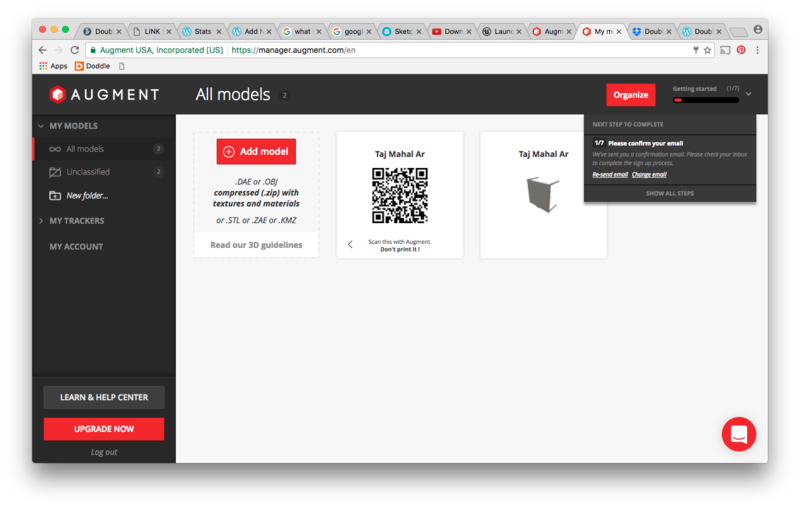 Finally found Sketchfab who have a facility to upload your model using a plugin exporter from Maya as well as other modeling websites. 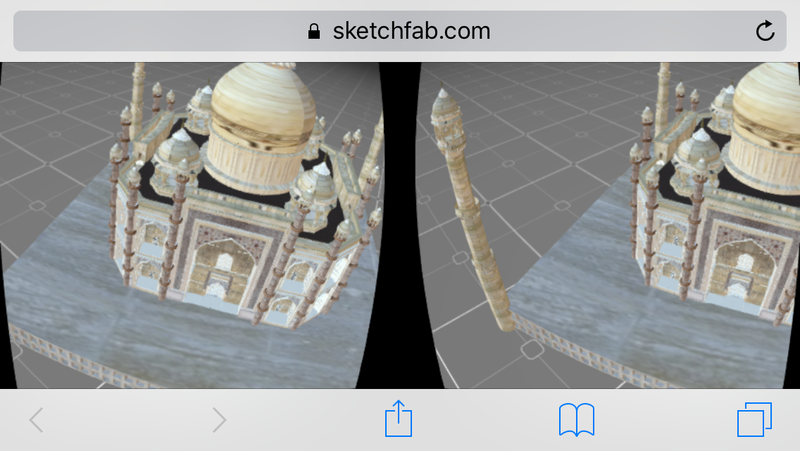 Following instructions on Sketchfab I uploaded my Taj Mahal model and then using the VR preview and a link that was provided my model uploaded into the VR space on my phone through their app. This could then be viewed using the google cardboard.